Includes integrated device and heating element protection. LEISTER, represented by Plastral , has released three lines of air heaters, the LHS Classic, Premium and System. All three lines include integrated device and heating element protection. This assures the air heaters are not damaged by excess temperatures. All three lines are available in different power classes and are compatible with the existing range of Leister blowers and nozzles. The LHS Classic line products are used either where temperature regulation is not required or where external sensors and electronics are used for control. 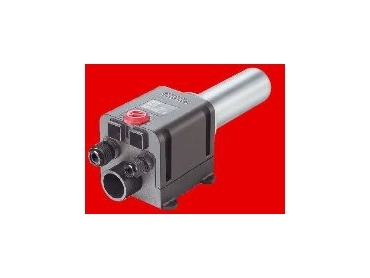 They are suitable for simple applications. The LHS Premium line includes an integrated probe, temperature regulation and power electronics. A high level of process reliability is guaranteed as a result. Temperature is continuously adjustable by means of a potentiometer. An upgrade to the LHS System is possible at any time. LHS System line air heaters can be externally configured and monitored via the Leister bus. As in the case of the Premium line, the probe, temperature regulation and power electronics are also integrated. With the appropriate operating units LHS System Terminal Single Source (TSS) and System Terminal Multi Source (TMS) and the suitable interfaces users know the status of the air heater at all times.